6 ways to fly!! 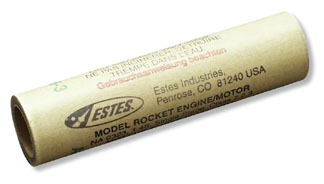 The Estes Multi-Roc is a 2 stage rocket that also features a glider recovery! Hmmm, do you want to fly a single-stage, payloader, dual-stage…maybe even release a glider at apogee? The Multi-Roc lets you do it all! This parts-packed kit has everything you need to fly six different ways, and the all-balsa parasite glider is included too! Fly to 1200 feet as a dual-stage rocket, or stay closer to Earth with a single stage launch. Plug in the payload section, boost the glider to altitude—no rocket gives you so many options for high-flying fun! Recommended Engines: 3 Stage Launches–1st Stage: C11-0, D12-0. 2nd Stage: B6-0, C6-0. Rocket: B6-6, C6-7. 2 Stage Launches using 2nd and 3rd Stages–2nd Stage: C6-0. Rocket: B4-4, B6-4, C6-5. Rocket Only: B4-4, B6-4, C6-5.